2 μg of IL-12, Human was resolved with SDS-PAGE under reducing (R) and non-reducing (N) conditions and visualized by Coomassie Blue staining. IL-12, Human induction of IFN-γ from NK cells co-stimulated with IL-18. The ED50 for this effect is less than 2ng/mL(1.92 ng/mL). 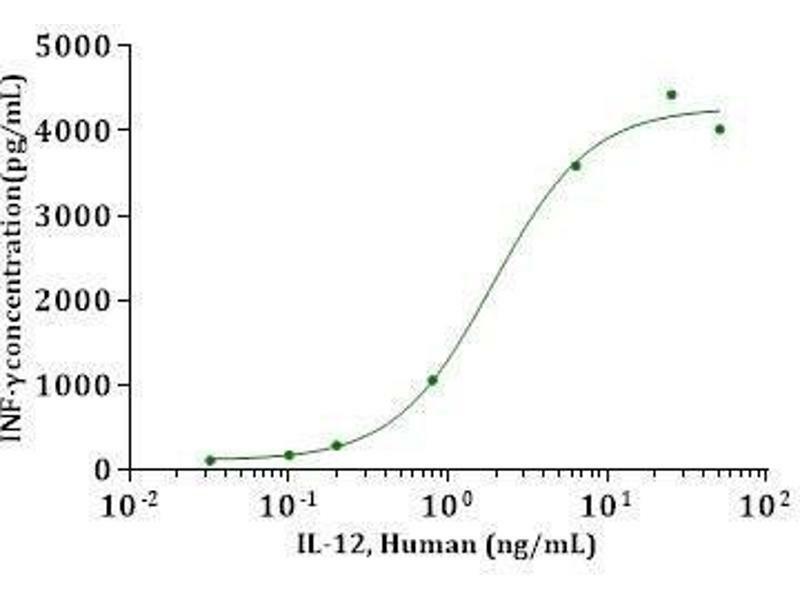 Characteristics EC50 < 2 ng/mL, measured by the induction of IFN-gamma from NK cells co-stimulated with IL-18, corresponding to a specific activity of > 1x10^6 units/mg. 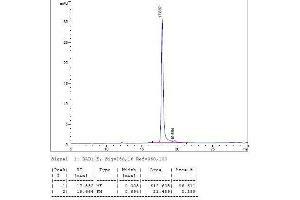 Purity > 95 % as analyzed by SDS-PAGE and HPLC. 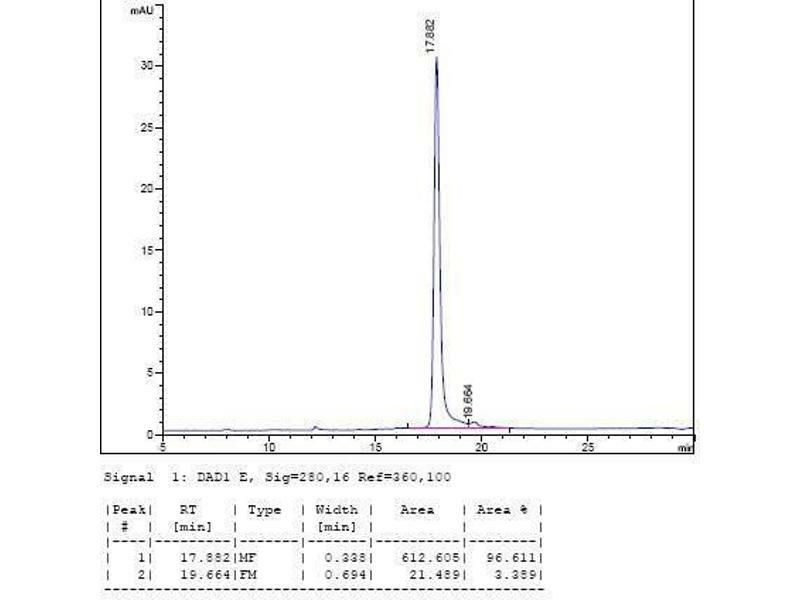 Endotoxin Level < 0.2 EU/μg, determined by LAL method. 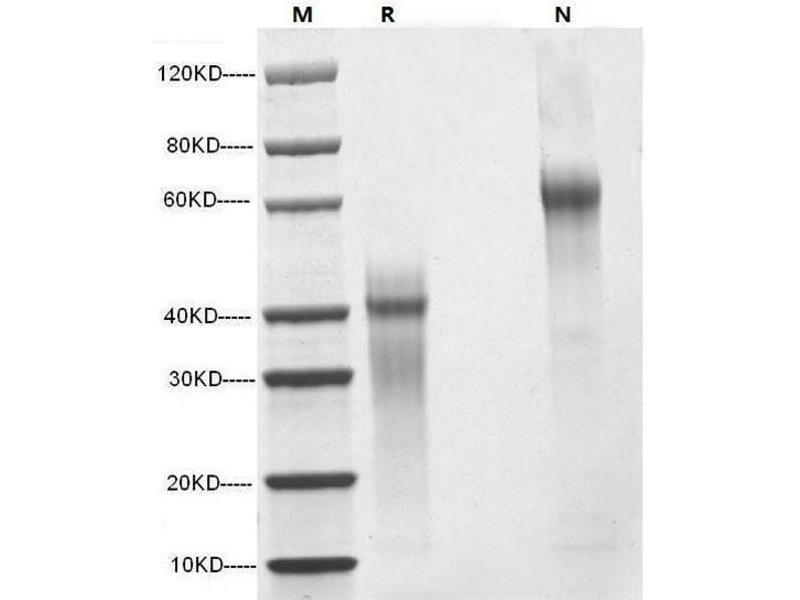 Background Interleukin 12 (IL-12), also known as natural killer cell stimulatory factor (NKSF) or cytotoxic lymphocyte maturation factor (CLMF), is a pleiotropic cytokine originally identified in the medium of activated human B lymphoblastoid cell lines. The p40 subunit of IL-12 has been shown to have extensive amino acid sequence homology to the extracellular domain of the human IL-6 receptor while the p35 subunit shows distant but significant sequence similarity to IL-6, G-CSF, and chicken MGF. These observations have led to the suggestion that IL-12 might have evolved from a cytokine/soluble receptor complex. Human and mouse IL-12 share 70 % and 60 % amino acid sequence homology in their p40 and p35 subunits, respectively. 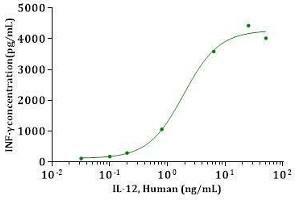 IL-12 apparently shows species specificity with human IL-12 reportedly showing minimal activity in the mouse system. 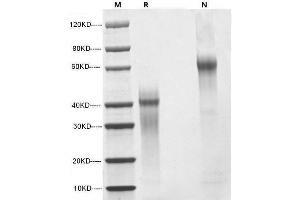 Molecular Weight 75 kDa, consisting of a 306 amino acid residue p40 subunit and a 197 amino acid residue p35 subunit. 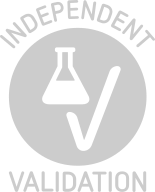 Reconstitution Reconstituted in ddH2O or PBS at 100 μg/mL. Buffer Lyophilized after extensive dialysis against PBS. Storage Comment Lyophilized recombinant Human Interleukin 12(IL-12) remains stable up to 6 months at -80 °C from date of receipt. Upon reconstitution, rh-IL12 should be stable up to 1 week at 4 °C or up to 2 months at -20 °C.